The praxis-oriented research conducted by our faculty and graduate students incorporates theory and practice in order to understand some of the most urgent questions of our time. These include changes across space and time in social complexity, inequality, and power; health, disparities and illness; environmental and social justice; and the significance of cultural identity, meaning, and diversity in complex social and political contexts. 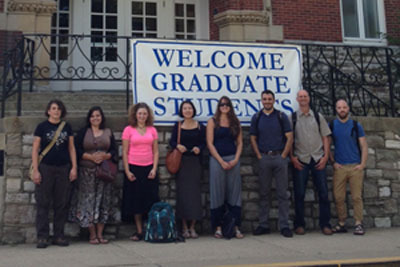 Anthropology faculty and graduate students at the University of Kentucky share a fundamental commitment to social, environmental, and economic justice, to anthropology as an arena for investigating social inequalities and real-world problems, and for contributing to their solutions through professional and public analysis and engagement. We invite students to join our established research programs: our archaeology program explores the peoples and cultures of the New World, from the late Pleistocene through early historical times while our cultural anthropology program encompasses a broad range of content areas including applied, development, economic, ecological, feminist, medical, political, science-technology-society, and urban anthropologies. An affiliation with the Kentucky Archaeological Survey and the collections of the William S. Webb Museum of Archaeology that provides students with access to research, RA and internship opporutnities. A productive faculty with diverse research interests. A robust and exciting program of colloquia and round table events including both current faculty and visiting speakers. A successful record of career placement in both academic and non-academic positions. Opportunities for inter-disciplinary study through graduate certificates in Latin American, Caribbean and Latino Studies, Gender and Women's Studies, and Social Theory among others. A supportive and vibrant graduate community with its own well-established governing body. A committment to creating a diverse and inclusive community for all. We are pleased to be able to offer assistantships to all of our incoming PhD students, which include a stiped, full tuition waiver (both in- and out- of state), and health insurance coverage. We have funding for a select number of applicants to visit the department in person. While here, they can attend classes, talk with faculty and current students, tour the facilities, and check out all that Lexington has to offer. Lexington, Kentucky is a vibrant and growing city located within a day's drive of two-thirds of the population of the United States. The city has a low cost of living compared to many comparable cities and our graduate T.A. and R.A. stipends are higher than those paid at many of our benchmark institutions. All of our eligible Ph.D. students are funded through various sources, including teaching and research assistantships, for four or more years and there are special fellowship opportunities for those who qualify (for example, many minority and first-generation Ph.D. students in our department have Lyman T. Johnson fellowships), making this a very affordable place to attend Graduate School. The department of anthropology welcomes applications from interested students. We encourage potential students to contact individual faculty members and/or the Director of Graduate Studies for more information about our program prior to applying. Our application deadline is January 1st. Please see a description of our program and degree requirements under the Graduate Curriculum. For an overview of the types of research conducted by Ph.D. candidates in our program please see a list of recent dissertation titles. 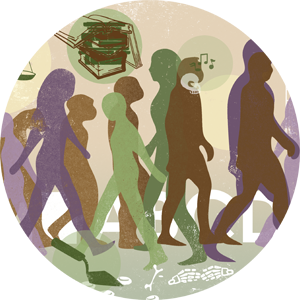 Since its inception in the 1960s, the graduate program has been nationally recognized as a leader in applied anthropology. We define applied anthropology as research with practical application and impact, but anchored in a rigorous foundation in anthropological theory and method, whether from cultural, bio-cultural, medical, or archaeological perspectives. With grounding in core anthropological theory and method, we train our students to be skilled researchers who can traverse both academic and non-academic settings, bringing to their research a sound intellectual base, and skills for application and practice. The M.A. 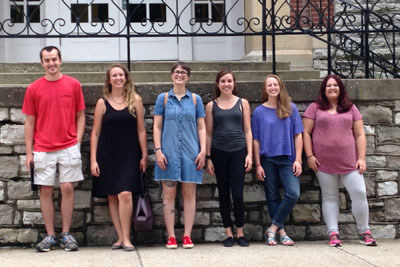 program offers concentrations in archaeology and cultural anthropology. Our application deadline is January 1st. All applications for graduate study at the University of Kentucky Graduate School must be submitted on-line. For materials required for application please consult the Graduate School web site for more information. Please note: the application deadline for both programs for Fall 2018 admission is January 1, 2018. Please be sure to consult the Anthropology program requirements prior to applying. Department standards for admission to graduate work in anthropology include an undergraduate grade point average of B or better, satisfactory Graduate Record Examination scores, completion of a separate departmental application form, and three letters of recommendation. Consult the Graduate School web site for additional information on departmental requirements and opportunities for financial assistance. For more information or questions on program requirements, please contact the Director of Graduate Studies, Dr. Sarah Lyon, at sarah.lyon@uky.edu or by telephone at (859) 257-5038.